For well over 900 years, Lincoln Cathedral has been inspiring people as a place of worship, pilgrimage, beauty and history. 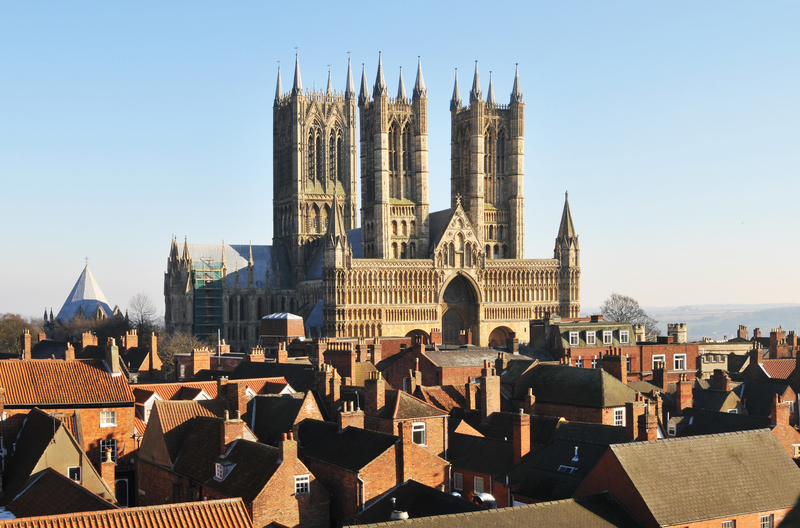 It is a landmark not only of Lincolnshire, but also of people’s hearts. Today, as the City of Lincoln continues to evolve, the Cathedral attracts thousands of visitors every month who come to explore the stories the Cathedral has to tell, and leave feeling a sense of connection to the building, its history and purpose. The Cathedral has bold ambitions for the future. By leaving a gift in your Will, you will be helping to continue the mission to inspire a passion for Lincoln Cathedral, its people, its heritage, its music and its mission. When making a Will, looking after those you care for is always going to be your first priority, but leaving a gift to the Cathedral in your Will is also an ideal way to show your support for this very special place. Whether you are passionate about the building, its music, library or mission, you can choose to leave a gift in your Will to suit your wishes. What’s more, if you choose to leave 10%of your estate to charities (of which the Cathedral is one), you will also pay a reduced rate of inheritance tax on your entire estate (currently 36% rather than 40%). Lincoln Cathedral is truly a unique place. By leaving a gift in your Will, you can help to ensure that this important piece of ‘living’ history is preserved for the enjoyment of future generations. Every gift left through a Will directly helps support vital work at the Cathedral that is important to you and goes towards protecting this exquisite part of our nation’s heritage. Once the tallest building in the world, Lincoln Cathedral has long inspired people to question how, by whom and why such a magnificent building was constructed. Every year, the Cathedral spends approximately £1.6 million on conservation and restoration. Leaving a gift to the Lincoln Cathedral Fabric Fund will mean that, with your help, the Cathedral can not only ensure that the physical structure of the building is maintained, but also the vitally important heritage skills of the Cathedral’s Works Department. 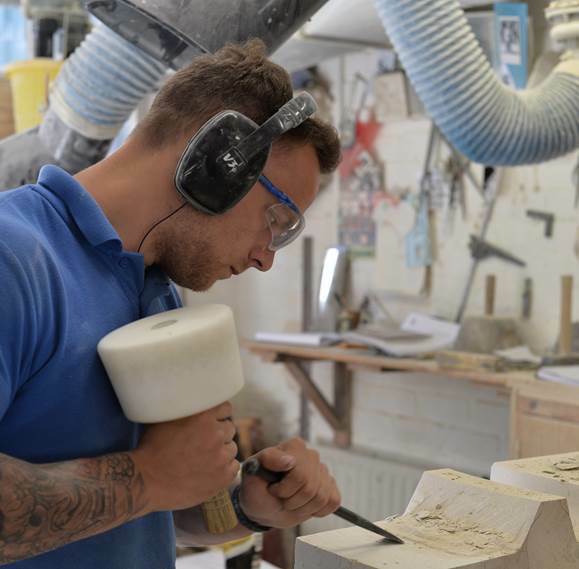 Every gift is important, but as an example, a gift of £5,000 will pay for a new carving and £20,000 will support the training of a new apprentice. HMRC Charity Reference Number X7802. The vast collection of medieval manuscripts and historic books in the Library at Lincoln Cathedral is a resource for research and education unequalled in the region. Leaving a gift to the Lincoln Cathedral Library Fund will mean that with your help, the Cathedral can continue to improve access to and conservation of these important resources. 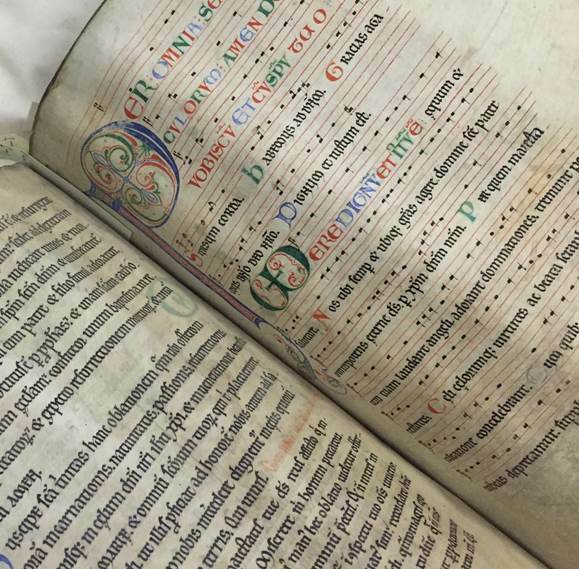 A gift of £2,000, for example, will pay for the restoration and conservation of one medieval manuscript in your name. Music is at the heart of what makes the Cathedral. It is the tradition of musical excellence that inspires so many people, particularly when they hear the angelic voices of the Cathedral Choir. By leaving a gift to the Lincoln Cathedral Music Fund, you will be helping to sustain the music of the Cathedral and give talented young people an opportunity to learn and develop, not only their musical abilities, but also develop ethic of working hard. 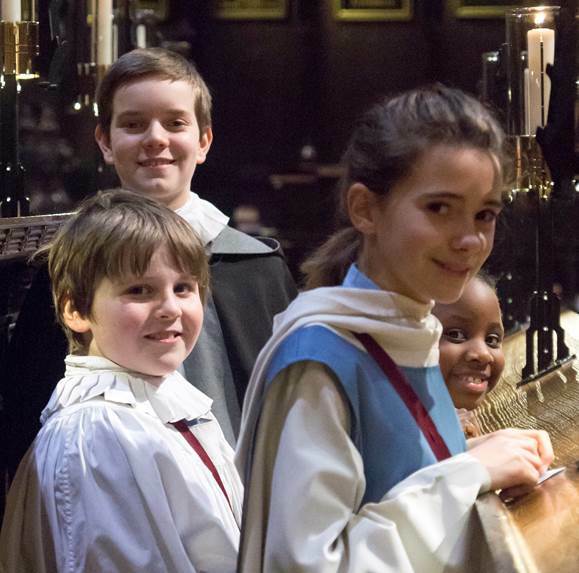 A gift of £3,500 will support a boy or girl chorister for a year in which they will grow and contribute to the life of the Cathedral through unique experiences as well as choir tours. £50,000 will enable the Cathedral to offer this chance to a chorister in your name in perpetuity. Music Fund Charity Number 1033089. Lincoln Cathedral is first and foremost a place of worship. It was the glorification of God that inspired its foundation and still inspires the rhythm of its daily work. From Christian outreach work to liturgy and school programmes, worship is the central focus of the Cathedral. 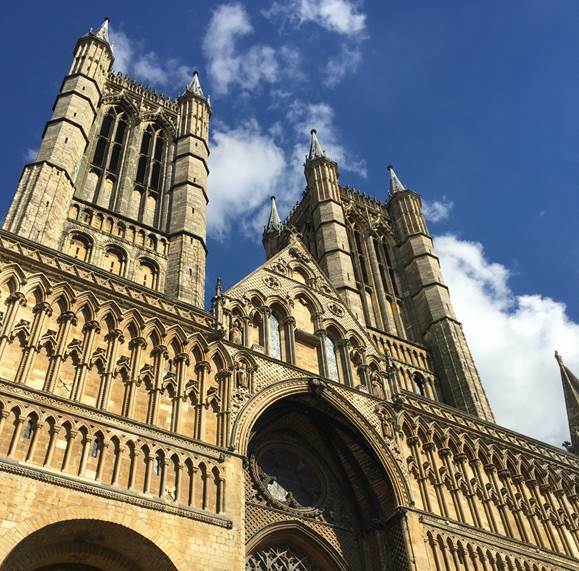 By leaving a gift to The Corporate Body of Lincoln Cathedral (for Worship and Mission), you will be helping to sustain this long tradition of the Cathedral acting as a beacon to the glory of God. 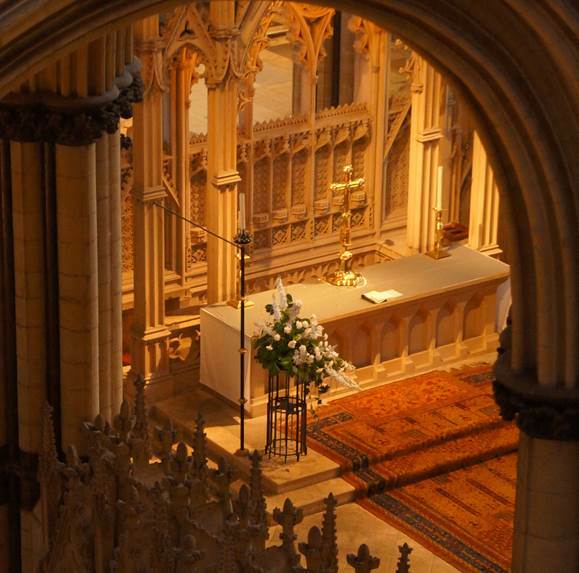 As an alternative to leaving a gift to a specific area of the Cathedral, many people choose to support the Cathedral in their Will by leaving a gift to The Corporate Body of Lincoln Cathedral (without restrictions). This allows the Cathedral to be more flexible and allocate your gift to where it is most needed at the time, be that to the Fabric of the building, supporting the Music of the Cathedral or the many unexpected costs that the Cathedral faces each and every year. All legacy donors are offered a complimentary legacy membership of the Cathedral. You will receive an invitation to an annual thank you event, complimentary admission to the Cathedral (2 adults and up to 3 children), 10% discount in the Cathedral Shop and Refectory and subscription to the Cathedral Times publication among other benefits. I leave the [your chosen Fund] ______% of the residue of my estate to be used at their discretion. The receipt of the appropriate authority shall be good discharge for my executors. I leave the [your chosen Fund] the sum of £______ to be used at their discretion. The receipt of the appropriate authority shall be good discharge for my executors. Should you wish to speak to us about your legacy gift, please contact 01522 561614 or email fundraising@LincolnCathedral.com and we shall do all we can to assist. Thank you for remembering Lincoln Cathedral in your Will.